﻿ Holiday Inn Paris Notre Dame Paris. JIMAT di Agoda.com! 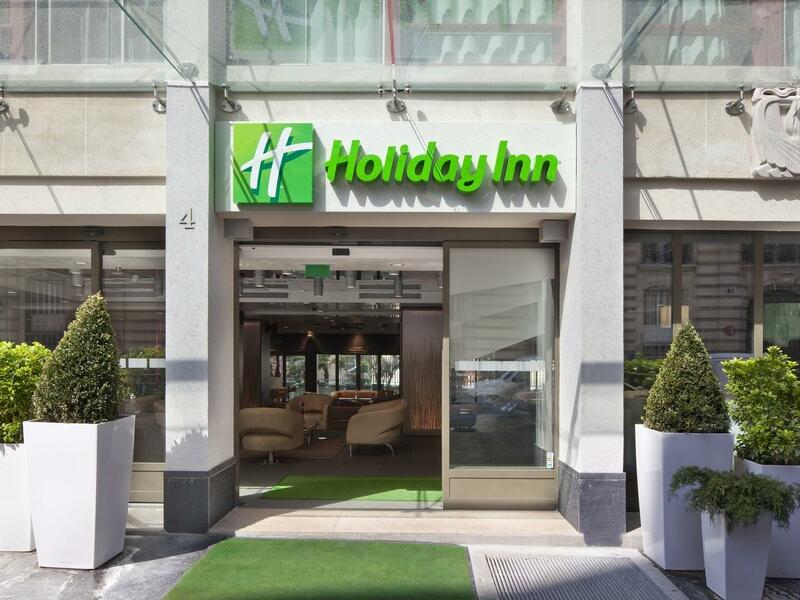 Holiday Inn Paris Notre Dame yang kontemporari terletak berhampiran dengan Katedral Notre Dame, Panthéon dan Luxembourg Gardens. Ia mempunyai sebuah teres taman di aras bumbung dengan pemandangan yang indah. Paris Notre Dame menawarkan bilik-bilik tetamu standard dan eksekutif dengan TV satelit berskrin rata, Internet berkelajuan tinggi dan penyaman udara individu. Beberapa bilik mempunyai balkoni yang menawarkan pemandangan bumbung bandar atau Menara Eiffel. Hotel ini menghidangkan bufet sarapan pada waktu pagi dengan pilihan perkhidmatan bilik. Para tetamu boleh berehat di teres taman dengan minuman dan sesuatu untuk dimakan dari bar hotel dan bar snek. Hotel ini menawarkan perkhidmatan ulang-alik dan rangkaian pengangkutan utama boleh diakses melalui sistem pengangkutan Ile-de-France. Stesen-stesen metro Odéon dan Saint-Michel berada dalam jarak 2 minit berjalan kaki, membuatkan tarikan-tarikan di Paris mudah untuk dikunjungi. 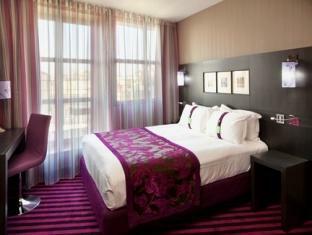 The sofa bed in the Executive King Room and the Deluxe Double Room can accommodate a 3rd guest at an additional cost. Please inform the hotel in advance if the reservation is for 3 guests. All guests under 19 years stay free of charge in these rooms. Can't say enough about this hotel - great location, right near the Notre Dame and walking distance to Louvre, Musee D'orsay, lots of shops and restaurants. Nice balcony with Eiffel Tower view, great roof top you can go up to for drinks and more amazing views. The staff were all very attentive and friendly. Our bathroom shower actually flooded out into the main room (drain wasn't working) - immediate response from the staff, and we were moved to another room along with complimentary fruit and snacks. They even checked on us the following day to make sure everything was ok. I would definitely stay here again. Check in and the staffs in the front office and restaurant were attentive and quite friendly. Especially note the help provided by Nirvana at the Front office. Loved this hotel. The balcony and the rooftop area had great views and were fabulous to watch the sunsets from. Very near the Latin quarter with great bars and restaurants, and Saint Germaine a more upmarket area also full of bars, etc. Would definitely stay again. 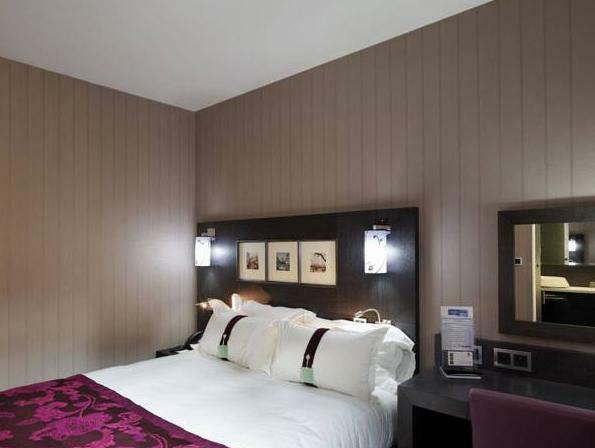 Comfortable hotel in ideal location close to trains, Notre Dame and The Lourve. The staff very all very friendly and helpful. Took the initiative to assist with transport arrangement when the transport that came with the Moulin Rouge failed to arrive. Way way better service than what we got from Tourism France. Excellent hotel. Good view, clean and calm. Hotel location is superb with less than 3 minute walk to the Saint Michel station. As the hotel name says, the Notre Dame is less than 10 minutes away from the hotel by foot. There are also lots of places to eat nearby. If you don't mind the walk, you can also reach Saint Germain area, a place full of boutique shops but u might have to walk 15 to 20 minutes to reach the shopping mall Le Bon Marche. Don't worry and there are lots of shops along the way during the walk. A cellphone with GPS will be handy. This hotel also has rooms that offer a view of the Eiffel Tower although the tower is at a distance away. Quite a pleasant stay, with an upgrade to a room with balcony and view of Eiffel Tower. Staff was very friendly and helpful. 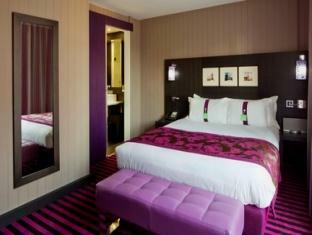 Very well located hotel near metro and restaurants. 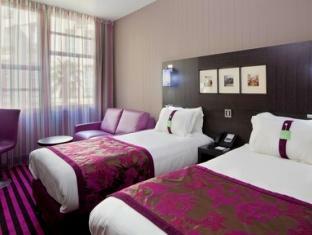 Good size room (I'm not that kind that need 100m2+++ to feel comfortable), comfy bed and very well kept. The staff was very friendly and helpful. Didn't really expect much, but turned out to be just perfect place for us. We tried to extended our stay for 2 nights more, but too bad it was fully booked. Next time we visit Paris for shopping again, we'll certainly stay here. Great location, right in the heart of many bars and restaurants. We stayed in Paris for 1 night and this hotel was perfect. Friendly reception staff and happy to help with any query we had. Excellent location, 2 seconds from Saint-Michel metro. Very close to Notre damme. we had a most enjoyable stay.very nice staff.would definately recommend this hotel. great hotel with friendly staff. great price for location with all amenities nearby. will definitely stay again. the hotel is a good place to stay in the latin quarter. there are cafes everywhere and food/restaurants are definitely not a problem. within a 10 minute walk from the hotel you can find not only the typical parisian cafes, but also japanese restaurants, chinese restaurants, among others. there's also a lot of shopping around the area, mainly boutiques and some luxury brands. the hotel is unpretentious but it is newly-renovated (i think). the beds are comfy. the bathrooms is a bit small, but you don't really notice it. hotel is very new and clean with contemporary design just like the webpage, very convenient, easy access to metro + supermarket, lots of cafe nearby with good food and fair $, safe at night. walking distance to luxemberg garden (must go with kids). excellent gelato shop nearby. easy access to notre dame for open deck bus + boat ride. we are quite pleased with our pick and will definitely return to st germaine area again.